Happenstance. Ideally, I wouldn’t have been reading two books at once. But I’d already started the one when the Dev manager chucked the other onto my desk as he stalked past, wild-eyed from some meeting, en route to the kitchen for a caffeine salve to the throbbing vein in his forehead. Intrigued (with the book not the vein, I’ve seen that plenty of times now), I started flicking through it, got hooked and then alternated between it and my own over the next few days, seeing the connections that both made to the, ah, idea that ideas (or lack of them) can be a problem. 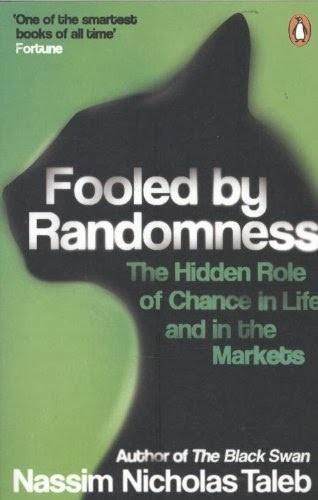 The Dev manager’s book, Fooled by Randomness by Nassim Nicholas Taleb, talks about consequences of an insufficient grasp of potential outcomes. Taleb’s domain is financial markets and the instruments that populate them and he attributes the false confidence of many traders – and the population at large, by generalisation – to a lack of understanding of first possible scenarios and second the ability to make sensible estimates of their probabilities. Oh and, third, a flawed sense of their own prowess based on a misunderstanding of the extent to which their past performance was down to them or to chance. Coincidence. Only that week I’d been talking to a couple of members of my team about trade-offs between (a) time spent thinking about a problem, researching it, exploring possible lines of attack, sketching out potential consequences, identifying commonalities and differences amongst the various approaches and (b) thinking of a plausible solution, diving in and just doing it. The knowledge gained from the former has the potential to significantly improve whatever action is ultimately taken. But it might also turn out to be worthless and still have consumed your budget. You might win big choosing the first idea, if it just works, or you might end up with a compromise when, late, you realise there’s something significant you missed that you feel you could’ve and should’ve thought of. Barriers to trying the former can include functional fixedness, the open-ended nature of it, managers putting pressure on, fear of burning through the budget for a project without producing anything and the fact that JFDI can produce something good enough. Taleb talks about the downsides of a narrow vision, saying that because of the relative infrequency of paradigm-shifting events – the kinds of thing a superficial or non-existent analysis would miss – and the large numbers of traders, many traders with little or no skill can do well by following a trend and/or having good fortune. When an unexpected event – a Black Swan, as in a later book of his – does appear, a proportion will just happen not to be affected, will appear prescient, think what they did was the obvious thing, maybe have unwarranted strategic smarts attributed to them, will themselves reason out an explanation for their success – attribution and hindsight biases – and perhaps even pursue what they think they have been doing more aggressively afterwards. To contextualise Taleb’s example: assume that in any given year there’s a 50% chance of a journeyman tester not being found out after missing some potentially serious bug. If we start with 1000 testers then, even after ten years the chances are that a handful will still have been fortunate enough not to have had adverse consequences (1000 in year 1, 500 in year 2, 250, 125, 64, 32, 16, 8, 4, 2, 1). As a tester, as someone who invests time trying to balance the cost of applying effort, and where, against the risk of not applying it, it is humbling and worrying to think that the results of my work may be as much, or even more, down to luck as to anything I do or did. I may miss rare issues, glaring issues, trivial and severe issues but if they happen not to be encountered by someone who matters or at a time that matters or with an effect that matters then I may still be thought of as a success and I may still think of myself as a success and continue on in whatever approach I’ve been using. The one which assists me in missing those issues. A tester could go through a whole career making poor decisions but never seeing failure. You could be interviewing that person, with a stellar CV, right now, for that test manager position in your organisation. years, our expectation is a significant loss although almost every day shows some profit. If the trader never thinks of the 1/1000 event the expectation over the period would be an apparently safe, if modest, profit. Ideas are the currency of creativity. The fuel of furtherance. The driver of disruptive actions. Without ideas there’s no route off the beaten track barring accident, and a strategy that relies on timely accidents for its sole source of innovation is setting its user up to fail at some point. Of course, Taleb is not the originator of expectation and de Bono is not alone in thinking about ways to provoke ideas (and he’s moved things along since this particular 1970s work too) but, regardless of the sources, these notions can be useful to testers at both micro and macro levels. Brian Eno famously has his Oblique Strategies cards, for example, and various testers have suggested using similar schemes to assist with test idea generation. Over the years I’ve come to value up-front exploration (including physical and thought experiments, proof-of-concepts, prototyping) to build a model of the problem space before implementation. Frequently, even where the budget for a project is tiny, I’ll try to isolate some time, however small, for it. In particular, I’ve learned the hard way that my first idea for the solution to a problem is usually wrapped up in my notion about how I’d implement it given what I know about other implementations. You can get out of that mindset by consciously disentangling the what from the how, but you can step back further to deliberately make time to consider the what-ifs and how-abouts and it’s here particularly that lateral thinking can help. For de Bono, lateral thinking is a skill that you can choose to apply. His book is all about techniques for the generation of ideas, about disrupting thought patterns, the provocation of thinking outside of the norm, the understood. For him, by generating more suggestions you have a wider pool of starting points to consider. Some of them may, on evaluation, be clearly absurd or impractical, but may cause you to think of something else which isn’t or spur someone else on to another chain of ideas which don’t have the same flaws. 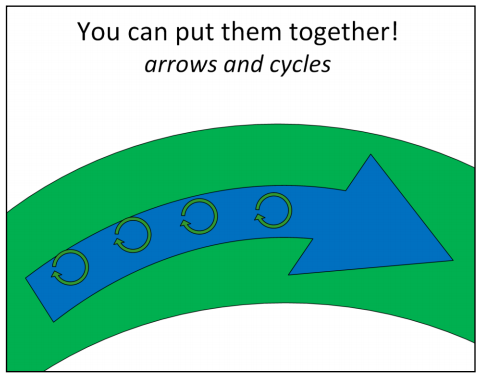 Logical reason and lateral leaps can be interleaved in any way, there is no need to stick exclusively to one approach; feedback from one round of work can and should influence the next round. He is enough of a realist to talk about stopping heuristics for a round of deliberate lateral thought (it’s not rocket science: use time boxes, create a certain number of ideas …). 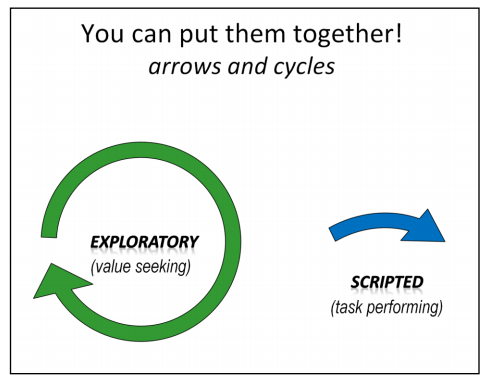 Although the analogy is not complete, there’s some parallel with the view that Rapid Software Testing has of the potential interplay of exploratory and scripted testing. If you bring in the notion of expectation too (where the cost could be the risk of failure), you have some basic machinery for generating and comparing possibilities, for rudimentary prioritisation. 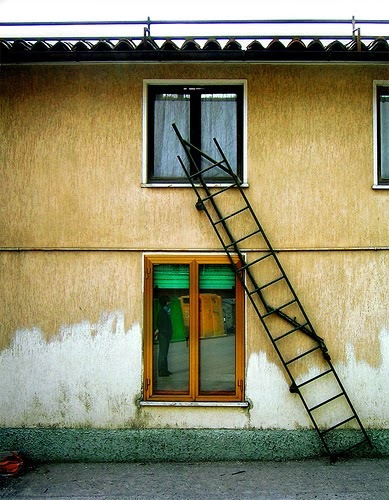 One application for lateral thinking that seems to get relatively little attention is that of identifying alternative solutions to something that already works. Frequently, we’re approaching tasks from the point of view of an identified problem: test this new implementation, fix that abhorrent behaviour, improve the performance of that operation and so on. Letting yourself look at something extant and considered sufficient with a lateral eye can be productive (if not necessarily always popular). On the other hand, lateral thinking may be less immediately applicable when investigating failures. This is often a place where reasoning from the known or observed is the best starting point. Looking at logs, inspecting customer reports and so on will often provide enough evidence for traditional logical reasoning to narrow down the problem. When you’re involved in a live support call with a customer, suggestions from way left-field may not be appropriate, at least not until the obvious options have been exhausted. Synchronicty. I came across the de Bono book while browsing the Pelican section of the Book Barn near Bristol (that day I also picked up Crosby’s Quality is Free and a box of other stuff including Julie Burchill’s caustic Love it or Shove it all at a quid a pop!). I wasn’t looking for it, but reading it put me in a position to make some new (to me) connections. Quite apart from the actions you take when confronted with a problem, that exposure to the ideas and experiences of others is another valuable way to increase your chances of enumerating possibilities. You never know when they’ll come in, when the now will remind you of the then and spur that thought, that crucial what-if or how-about. And so some time this week as I pace rapidly down the office, fresh from some meeting or other, on my way to walk briskly round the block, the vein in my temple pulsing and plum-coloured, I’ll slap The Complete Plain Words onto the Dev manager’s desk, muttering “what if I just told them to …” as I disappear round the corner.